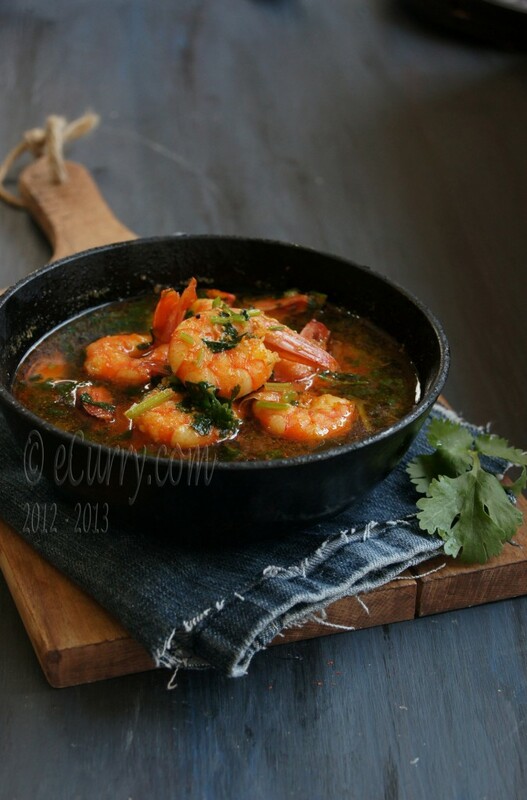 A beautifully flavored simple shrimp curry is what we have today. I would call it “Chingri Maacher Jhaal” in Bengali. A recipe cannot get simpler than this. If you think making curry was hard work, you have to give this a try 🙂 You might just change your mind! This shrimp curry was cooked by my cousin sister. She came to visit me and decided to take over the kitchen for that day, with the thoughts of giving me a break and also so I could learn to make this dish which she had been raving about even before she got here. That is the best part about sisters… They think about you, understand you and want to make you feel good! That is her. The recipe requires very few ingredients and fresh cilantro/coriander is one of the most important ones here. We grew up together, first in the joint family and then living side by side with a short wall separating us. Our little hands held the iron window grilles, the fingers snugly fitted in to the patterned curves of the grilles. She stood in her room and me in mine and we talked and talked and talked with only the windows between us. We made up our own language so no adults understood (may be they still did, but we thought they did not then). We went to school together, we came back together and we were literally inseparable the rest of the time. I never missed not having a real sister of my own. She was mine. We sat on the couch when I was 5 and she was 3 and pretended we were sailing in the midst of the ocean. We reached down and felt the water with our hands. Imagination can take you anywhere. I am talking of many years back, but it does not seem that way. We still remember every bit of what we shared including the little fights, the pinches and the occasional tears. We are only two years apart, but she always was and always will be my “little sister”. And I feel good writing about this! Now it is recorded; a little bit more than just between us. What we share is precious. If you are wondering what that alien thing is on the left of the photograph…:) It is an essential gadget in an Indian kitchen. In my language we call it SNaRashi. This is used to take the hot kaDai/Indian wok off the heat. No mittens or kitchen towels are used. Some Kadais have 2 handles on the sides and some do not (as you see in the picture on the right). But since the kadais we use are made of iron, they get very hot, the towels and not always good enough to move the utensils. She cooked this for me three years back. Why I waited so long to post this I have no idea. The sauce (it is more like a soup/stew) is light, loaded with flavors of the spices. An afternoon with my sister/my close pal, long hours on the dining table trying to catch up on all those years we did not meet over some hot steamed basmati rice soaked up with the shrimp curry. A day to remember. I have made the dish innumerable times after that. But this time it was even better as I used homegrown cilantro! My garden is starting to look real. The little saplings have started holding their heads high and straight and some have starting blooming. 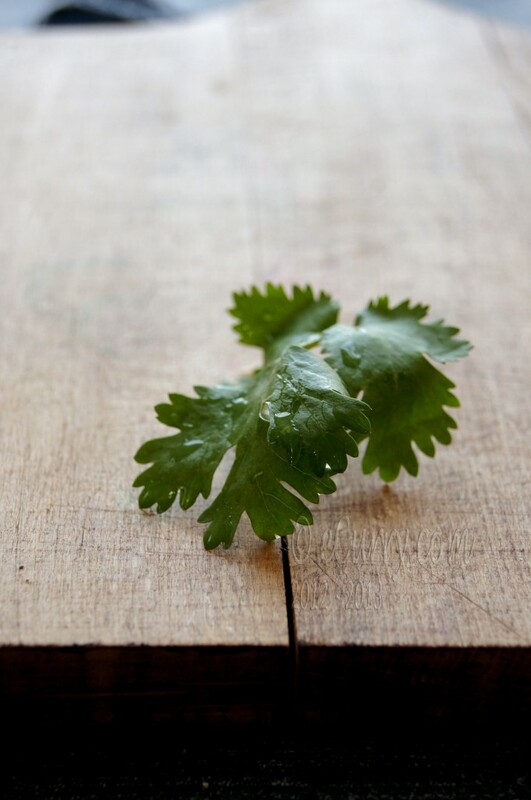 We are growing a patch of fresh coriander; fresh green and very aromatic. 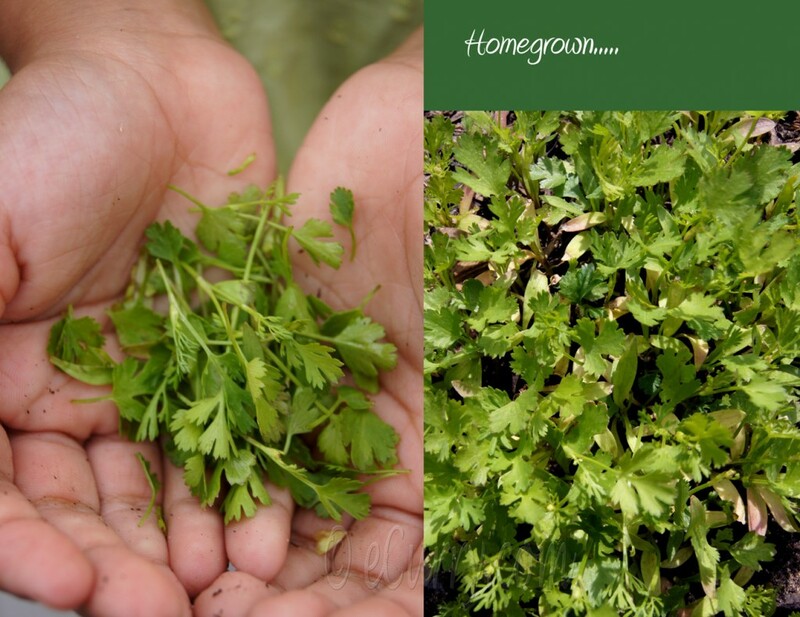 Now I know how unlike the real coriander those bunches with big leaves and stems sold in the stores smell. The leaves in my yard measure half the size of what I regularly buy but the fragrance is just unbeatable. All I needed was a tiny fistful to flavor the dish. Even the children knew the difference! My sister learned this from her mom in law who is supposedly a fantastic cook. I have never had the opportunity to meet her but I trust my sister and I love this recipe, so I have no reason to think otherwise. It is a bowlful of deliciousness with almost no effort and with very little time invested. The nigella and the green chili pepper create magic as they sizzle in the oil and the fresh herbs intensifies it! Wash, shell and devein the prawn/shrimps and pat them dry. Sprinkle some salt, 1 teaspoon turmeric powder and 1 teaspoon red chili powder and toss well. Allow them to marinate for about 15 minutes. In a pan add half cup of water and the shrimp along with the marinade and cook for a couple of minutes or until the shrimps turns whitish and opaque. Remove and set aside. In another pan heat oil. Lightly crush the nigella, between your palms or with a rolling pin. Add the nigella/kalonji seeds and the slit green chili pepper. When the seeds sizzle and the chili pepper turns brownish, add the shrimps to the pan. Save the liquid. Toss and stir for about a minute. The spiced oil should coat the shrimps. In a bowl combine salt, turmeric, coriander powder, red chili powder and the rest of the water. Add this to the pan along with the liquid (if any) from the shrimp. Simmer for about 10 – 12 minutes; the liquid will reduce a bit will the shrimps soak in the flavors of the spices. (adjust water to how soupy you want it to be). Switch off the heat and add the fresh cilantro/coriander and stir them in. Cover and allow it to sit for about five minutes. April 30th, 2012 | Category: Curries, Seafood, Sides & etc. So scrumptious looking and sounding! I love that flavor combination. Nice presentation and lovely pictures. Now, I’m hungry again. 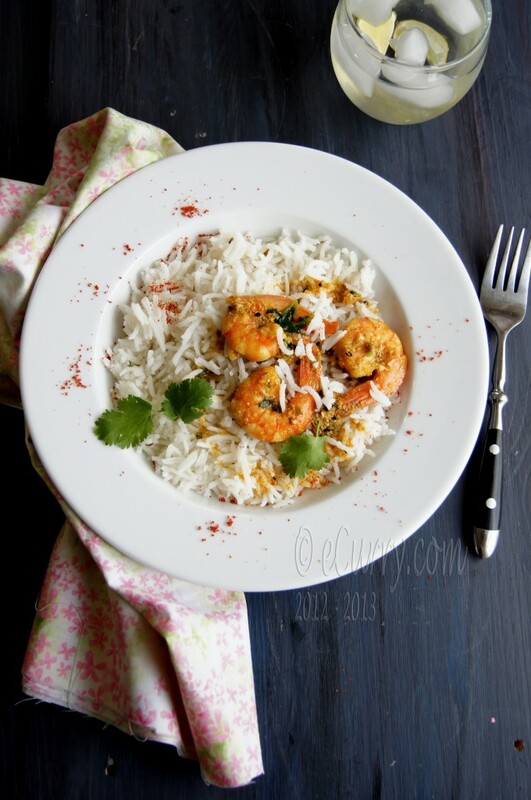 Thanks for the recipe, my son loves shrimp so I am always looking for new ways to make it, food looks amazing. niesamowicie apetyczne danie i zdjęcia. Oh the flavors are very exciting. Exactly how I like to eat shrimp! Such beautiful photography ~ yours is the best I’ve seen anywhere on the web!! 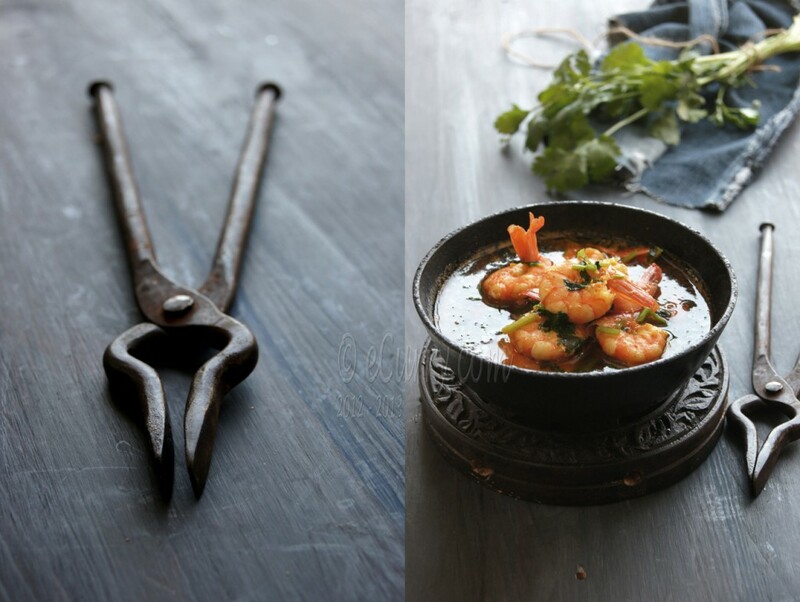 The photo’s alone will entice you to make the recipe before you even see the ingredient list. Thank you so much for sharing! That is sooooo sweet of you. Thank you so much!! This is just beautiful! Tanks so much for sharing. I love you so much and I miss you even more !! Yes, very very nostalgic indeed and every word that you wrote scintillates with neavy memories and emotions !! cant wait to meet you again soon….! 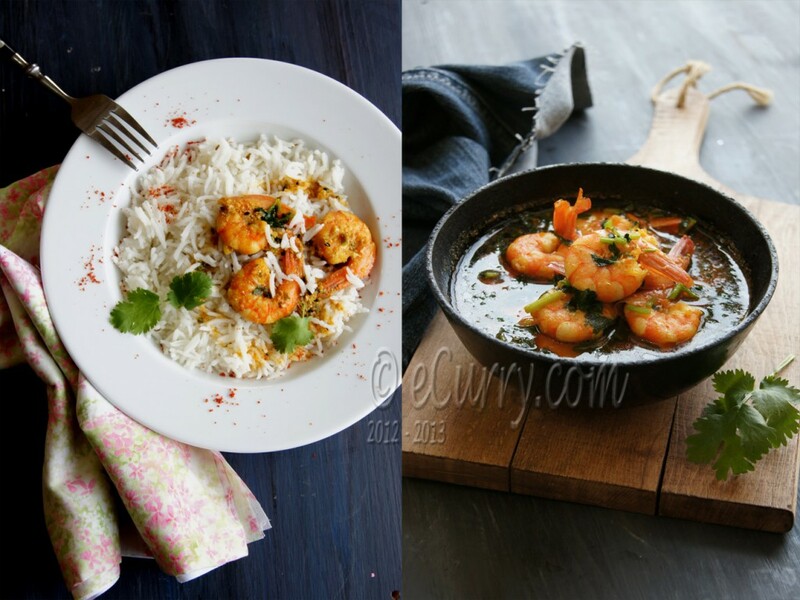 Ummm looks yum,…and flavorful,,..beautiful pics,..
I’m in love with curry. I can’t wait to try this recipe out! 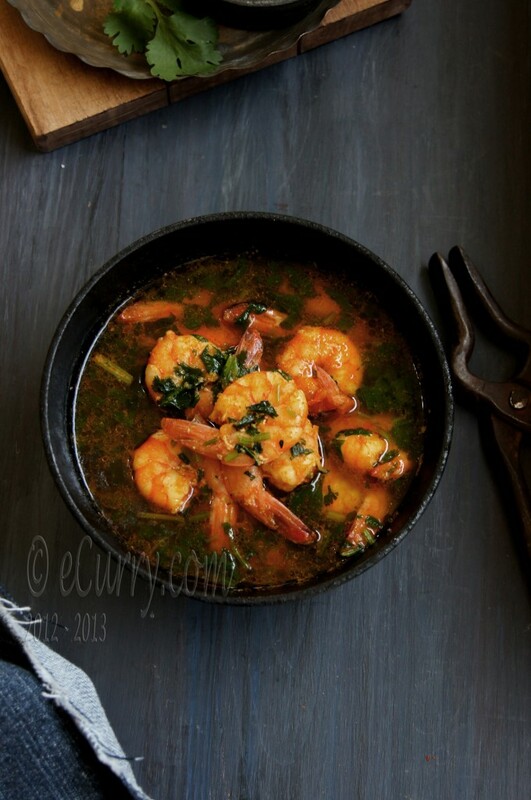 I love prawns and your recipe looks like a “must try”. And the photography is exceptional!! 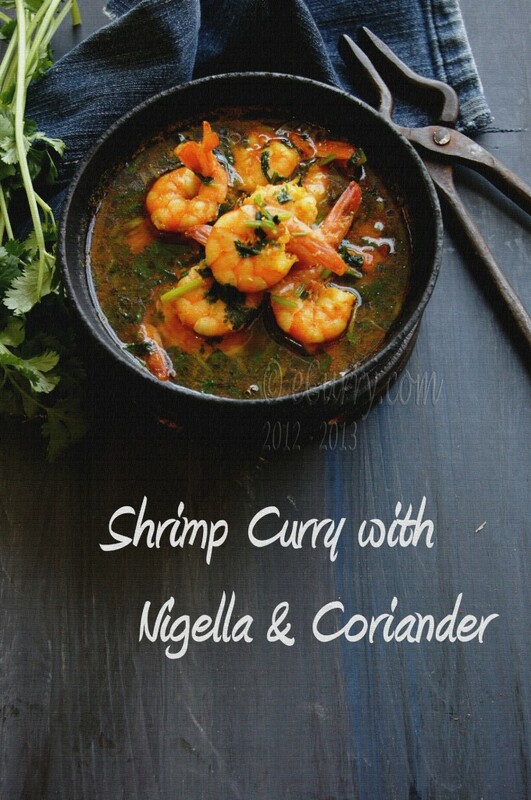 Love the look of that curry…And love what you wrote about sisters! It is a beautiful bond. Whatever – I just looked at the pics again + my mouth feels as if I just bit into a lemon…DROOOOOOL! Thanx for tempting recipe + sorry for long post. oh wow.. wow!! yummm.. I love shrimps.. That looks soooooooo yummy! !